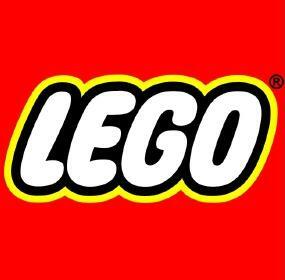 The LEGO Group is the #1 toy company in the world, and also the undisputed leader in the construction segment. Last year, LEGO made it’s next foray into the motion picture arena, with the release of The LEGO Batman Movie. In addition, at the Consumer Electronics Show this year, LEGO announced the innovative new technology building platform LEGO Boost. 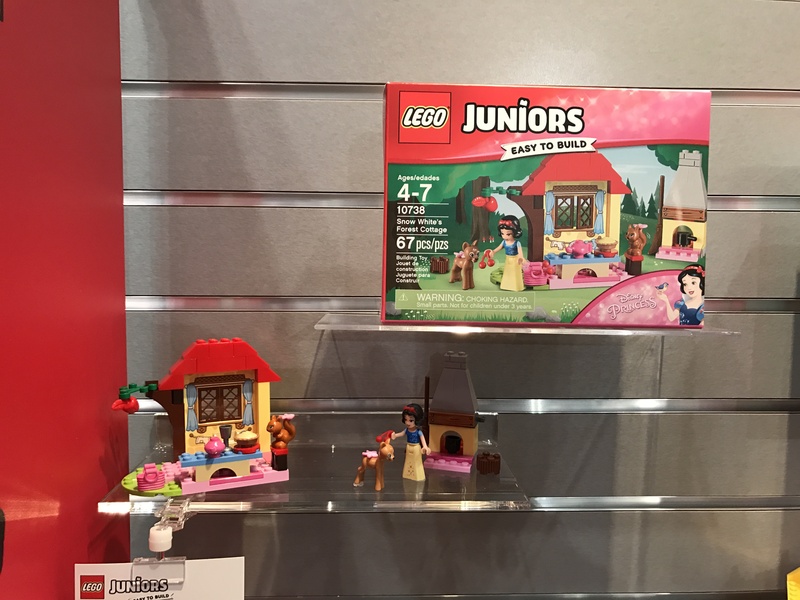 Capitalizing on that momentum, LEGO brought a diverse slate of sets, from themes old and new, to Toy Fair this year. Here is our report on what we saw. First up on our tour through the world of LEGO is Brickheadz, a new line which allows you to build collectible oversized versions of iconic characters out of LEGO bricks. There will be twelve sets in the series (4 LEGO Batman Movie, 4 Marvel , 4 Disney). Ten of them (41585 – Batman, 48586 – Batgirl, 41587 – Robin, 41588 – Joker, 41589 – Captain America, 41590 – Iron Man, 41591 – Black Widow, 41592 – Hulk, 41595 – Belle and 41596 – Beast) will be released in March. The remaining two (41593 – Captain Jack Sparrow and 41594 – Captain Armando Salazar) are based on the upcoming movie Pirates of the Caribbean: Dead Men Tell No Tales and will be released in April. These actually look really cool. They’re like the LEGO equivalent of a bobble-head. They’re sort of oversized mini-figures, but you’re not meant to play with them. They’re made more as display pieces. As such, the faces are a bit blockier, but they still look liek the characters they are meant to represent. At $9.99 each, it’s easy to pick your favorites or collect them all. NOTE: The Pirates of the Caribbean Brickheadz were announced and unveiled at Toy Fair in a separate display case. The images will appear later in this report. Next up is that most collectible of LEGO items, the minifigure. 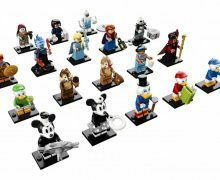 Each series of these sought after single blind packs contains an assortment of unique LEGO minifigures not available anywhere else. 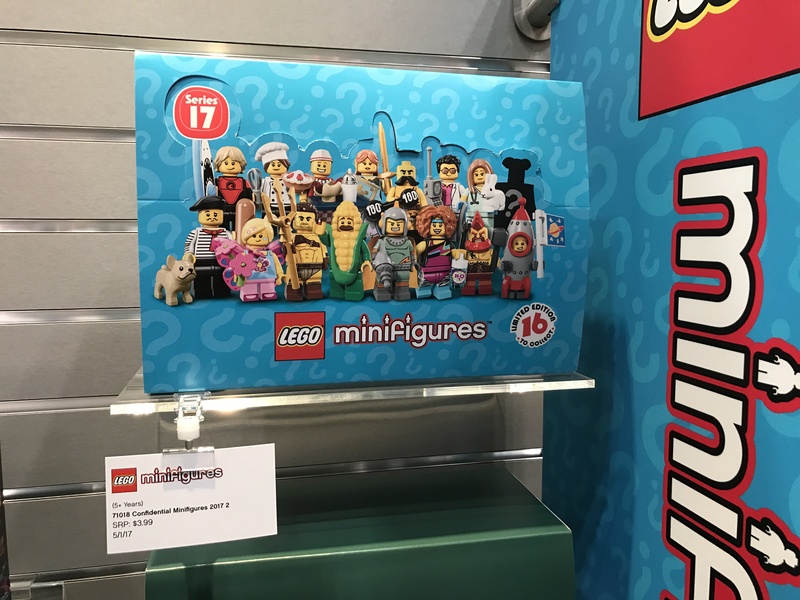 There will be two series released in the next eight months (71018 – Available in May, 71019 – Available in August). Each series retails for $3.99 each. LEGO’s 3-in-1 line, Creator, continues with five new sets in August (31066 – Space Shuttle Explorer, 31067 – Modular Poolside Holiday, 31068 – Modular Modern Home, 31069 – Modular Family Villa and 31070 – Turbo Track Racer). All of these sets are impressive, but the particular standouts here are the houses, most especially the Modular Family Villa. This house is HUGE! and there are so many impressive features, some of which depend on which way you build it. Other highlights include the electric car charging port and solar panel on the Modular Modern Home. After the January releases featuring Beauty and the Beast, Frozen and Moana, the Disney line returns in August. Two more sets will be released, based on classic Disney animated films. The first, 41145 – Ariel and the Magical Spell, is based on The Little Mermaid, and retails for $29.99. The second, 41146 – Cinderella’s Enchanted Evening, is based, of course on Cinderella, and retails for $39.99. These sets are both winners, and they both depict key moments in the movie they are associated with. Ariel and the Magical Spell depicts the fateful bargain struck in Ursula’s Grotto where Ariel gives up her voice to be human. It comes with Ariel, Ursula and Flounder. Cinderella’s Enchanted Evening captures the magical moment when the Fairy Godmother grants Cinderella’s wish and sends her off to the ball. Just try to bid this set without humming “Bibbidi-Bobbidi-Boo”, I dare you. On of LEGO’s most popular “evergreen” lines, LEGO City, will see fourteen new sets released in the Fall, including two new themes. First off, the standalone sets. 60153 – People Pack – Fun at the Beach is the follow-up to last year’s successful Park based People Pack. Like that pack, this set will consist of beach-themed minifigures and accessories. It will be released in August, and retails for $39.99. Next we have 60154 – Bus Station, which will come with the city bus, the covered bus stop, a newsstand and six minifigures and a dog. It will be released in August and retails for $49.99. Next is 60169 – Cargo Terminal, which consists of a security gate, a two car cargo trailer truck, a forklift, a cargo SUV with a hook arm and a cargo warehouse-type building. 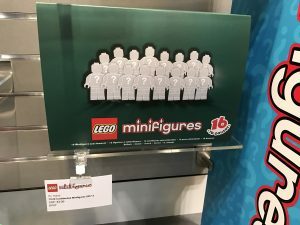 It comes with four minifigures and will retail for $79.99. The first of LEGO City’s two new themes for the Fall is Coast Guard. Five sets (60163 – Coast Guard Starter Set, 61064 – Sea Plane Rescue, 60165 – 4×4 Response Unit, 60166 – Heavy-duty Rescue Helicopter and 61067 – Coast Guard Headquarters) will be released in August. They will retail for between $9.99 – $119.99. The second new theme for LEGO City in Fall is Jungle. Six sets (60156 – Jungle Buggy, 60157 – Jungle Starter Set, 60158 – Jungle Cargo Helicopter, 60159 – Jungle Halftrack Mission, 60160 – Jungle Mobile Lab and 60161 – Jungle Exploration Site) will be released in August. They will retail for between $6.99 – $119.99. Both of the new themes have some spectacular elements to them. The boats in the Coast Guard line are fantastic and the Jungle line features a bright yellow color scheme to the line, which unites it. The biggest sets in each theme, are, of course, show stoppers. However, every set in each theme is sure to be a hit. Finally, LEGO City will close out the year with 60155 -LEGO City Advent Calendar. As usual, the calendar consists of 24 numbered doors, with LEGO elements hiding behind each. The elements combine to form a complete display scene. The set retails for $29.99 and will be available in September. It should go without saying that this quickly becomes one of the most sought after products of the Holiday Season. Get it as soon as you see it, because it probably won’t be there the next time you go. Next up is Juniors, the “in-between” LEGO line. This line bridges the gap between Duplo and regular sized LEGO pieces by using pre-built “quick start” pieces and easier to follow instructions. After several new sets were released in January, there is only one new set left for release in August. 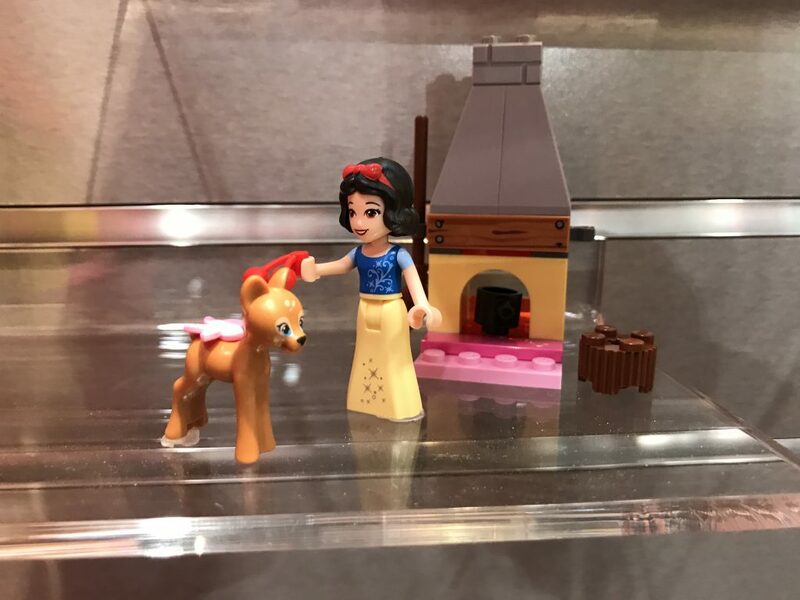 10738 – Snow White’s Forest Cottage will retail for $14.99. Next up is the aforementioned younger line. Duplo continues going strong and is the go-to line for beginning builders. 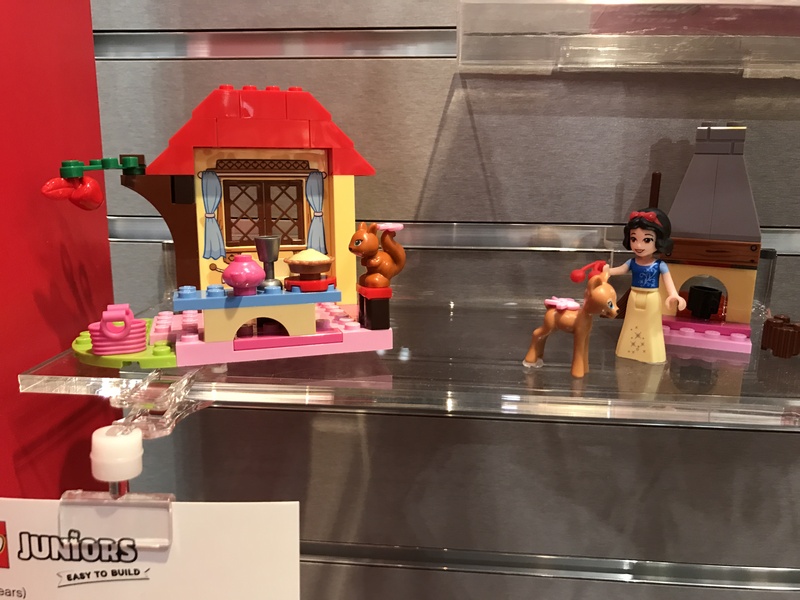 Three new sets are due in August, two of which (10843 – Mickey Racer and 10844 – Minnie Mouse’s Bow-tique) are Disney themed. The third set (10837 – Santa’s Winter Holiday) is a rare Holiday-specific set. The sets retail for between $14.99 – $39.99. The Mickey set is the first to be based on the new Mickey and the Roadster Racers series, and the Minnie Mouse set is based on the bow shop she runs with Daisy Duck. The final set is a fun little Holiday themed set with a Santa figure, a sleigh and some kids having some winter fun. 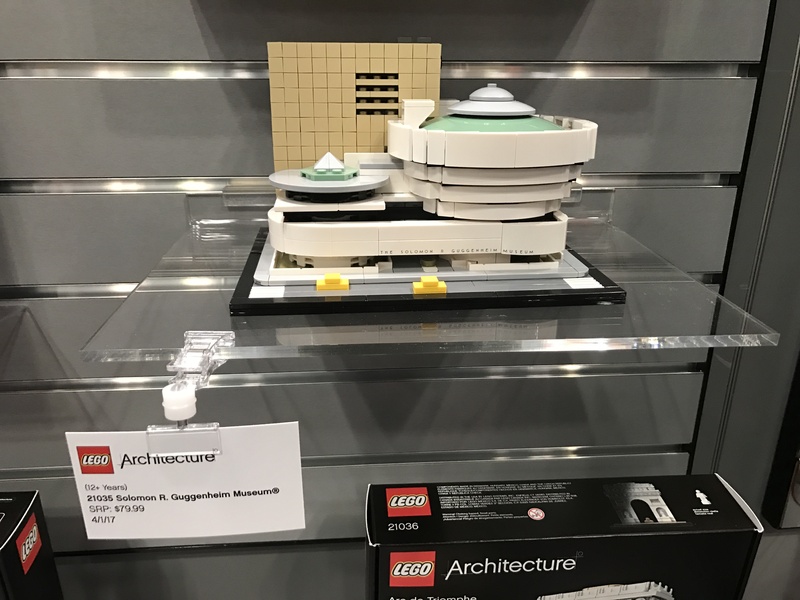 Challenging the notion that LEGO sets are just for kids, LEGO Architecture returns this year with two new sets for the remainder of the year, each depicting a famous and unmistakable monument. 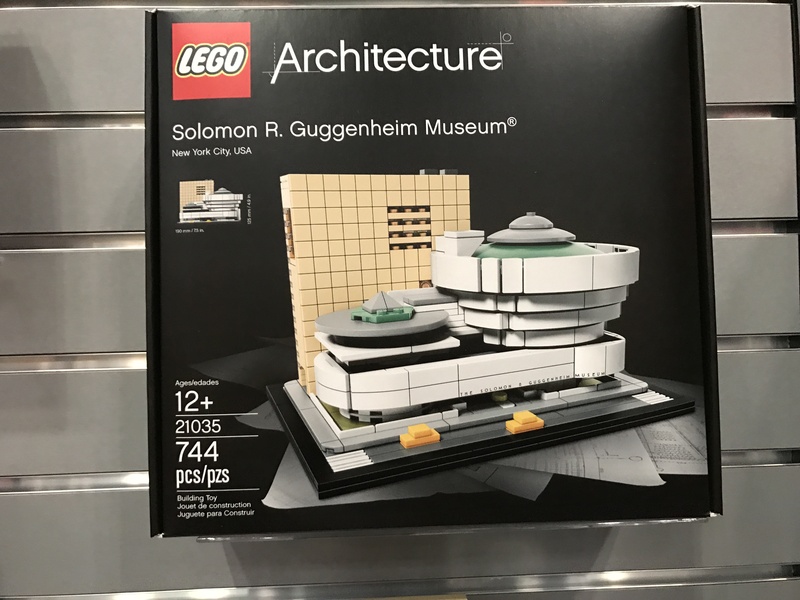 First up, in April, we have 21035 – Solomon R. Guggenheim Museum. This is the second version of this building and this time it is a larger scale model with more detail. 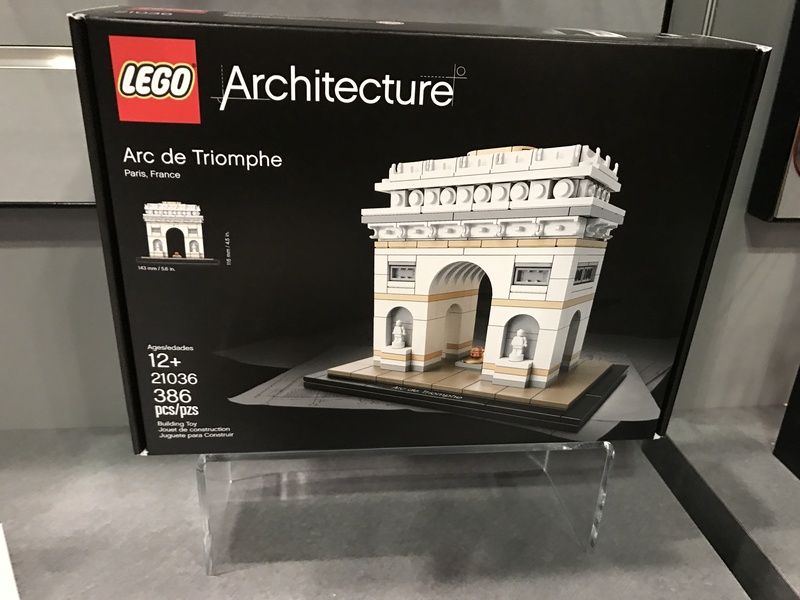 This iconic architectural wonder is perfectly captured in this new model and it really looks spectacular. It will retail for $79.99. The second model for this year is due in August, and is a never before seen model. 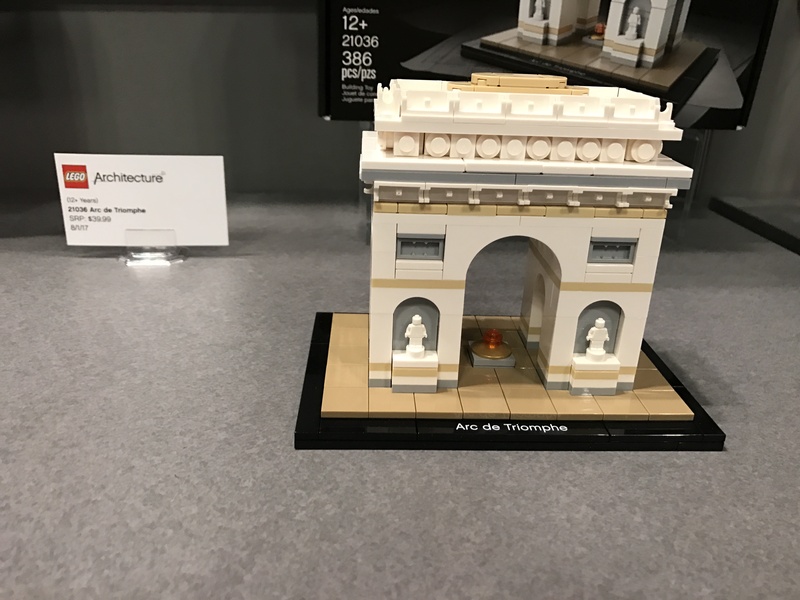 It is Paris’ iconic Arc de Triomphe. This is a beautiful model, with tons of detail. It will retail for $39.99. LEGO Boost is an exciting new product in their robotics division that allows kids to build creations out of LEGO, and then, using a special app, write code to make the models move and activate sounds. The impressive thing about Boost, though is that it can be applied to ANY LEGO set! You can put the Motion Center into the Batmobile for example, and it will move. You will then be able to use the app to write a path of movement for the Batmobile. The possibilities are endless, and very exciting. Here is a short demo video of Boost in action. I don’t think it’s at all hyperbole to say that Boost has the potential to fundamentally change how kids build and how LEGO is used in classrooms. The 17101 -LEGO BOOST set will build 5 models, including the kitten and the guitar and will retail for $159.99 when it is released in August. Next up is a property that was tailor-made for the LEGO treatment: Minecraft. he rabid popularity of both the game and the LEGO sets shows no sign of abating, so it’s a good thing that eight more sets will be available this year. Five sets (21129 – The Mushroom Island, 21130 – The Nether Railway, 21131 – The Ice Spikes, 21132 – The Jungle Temple and 21133 – The Witch Hunt) will be available in March. The final three sets (21134 – The Waterfall Race, 21135 – The Crafting Box 2.0 and 21136 – The Ocean Monument) will be available in August. These sets retail between $19.99 – $109.99. The Crafting Box was particularly popular in it’s earlier release, so it’s great to see it get refreshed. Also, some of the larger sets have some particularly awesome looking creatures in them, particularly the Ocean Monument. LEGO’s line for builders who like a challenge, Technic, returns with nine new sets this year. Two of them (42061 – Telehandler and 42063 – BMW R 1200 GS Adventure) will be released in March. The remaining seven (42062 – Container Yard, 42064 – Ocean Explorer, 42065 – RC Tracked Racer, 42066 – Air Race Jet, 42068 – Airport Rescue Vehicle, 42069 – Extreme Adventure and 42070 – 6×6 All Terrain Tow Truck) will be released in August. The sets will retail from $39.99 – $289.99. Building any of these sets would be an awesome achievement, but the 6×6 All Terrain Tow Trick is one of the largest and most impressive LEGO sets I have ever seen. The next theme need no introduction, as it is one of the most popular and profitable in LEGO’s long history. It also has the distinction of being their very first licensed theme, and over a decade on, it shows no signs of stopping. I am speaking of course, of LEGO Star Wars. 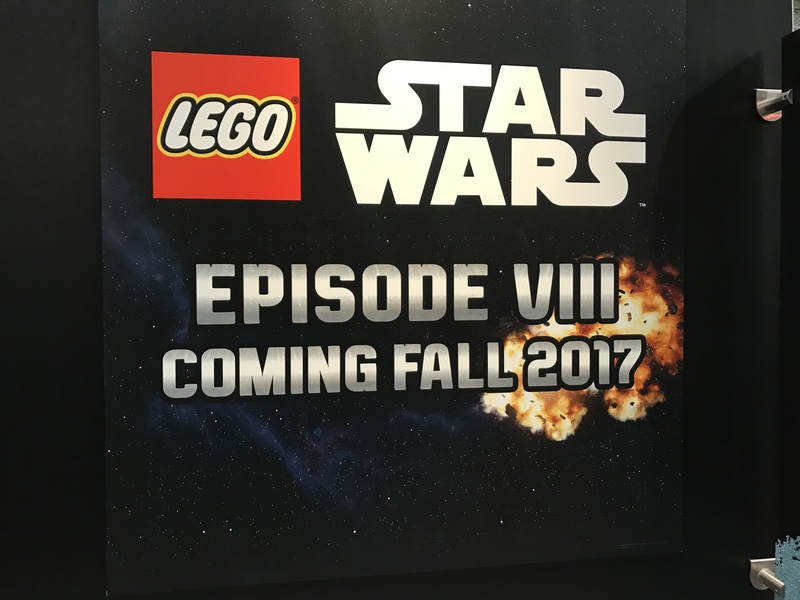 The force is strong with builders this year, as a whopping 19 sets will be released. 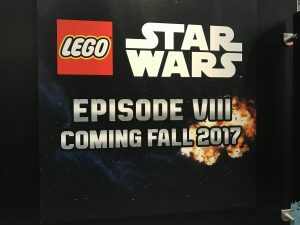 The sets will span both the movies and animated shows, covering all aspects of the Star Wars saga. Ten of these sets (75173 – Luke’s Landspeeder, 75168 – Yoda’s Jedi Starfighter, 75169 – Duel on Naboo, 75174 – Desert Skiff Escape, 75175 – A-Wing Starfighter, 75170 – The Phantom, 75164 – Rebel Trooper Battle Pack, 75165 – Imperial Trooper Battle Pack, 75171 – Battle on Scarif and 75172 – Y-Wing Starfighter) will be available in March. Eight of the remaining sets (75167 – Bounty Hunter Speeder Bike Battle Pack, 75182 – Republic Fighter Tank, 75183 – Darth Vader Transformation, 75185 – Tracker I, 75186 – The Arrowhead, 75166 – First Order Transport Speeder Battle Pack, 75178 – Jakku Quadjumper and 75180 – Rathtar Escape) will release in June. Finally, LEGO Star Wars will end the year with 75184 – LEGO Star Wars Advent Calendar, which this year looks to feature Santa BB-8. 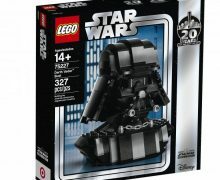 In addition to the sets mentioned above, LEGO will release two new Constraction sets (75331 – Stormtrooper Commander and 75332 – Scout Trooper & Speeder Bike). They will be released in June and will retail for $24.99 – $54.99. The Speeder Bike is really something to see. The pictures do not do it justice. Again, LEGO has done an amazing job with this slate, touching on key moments from across the entire Star Wars franchise. Particular highlights for me include the duel with Darth Maul from Episode I, the chance to pick up a LEGO Sarlaac if you haven’t already and the set from Episode III allowing you to pick up both Darth Vader and the Emperor. Sets retail from $14.99 – $89.99. That about does it for LEGO Star Wars, unless you count this. It’s just a placeholder, and they didn’t show us any product. But, it’s pretty exciting to see nonetheless. LEGO’s propriety girls’ fantasy line returns for it’s third year with eight new building sets. Five of them (41181 – Nalda’s Gondola & the Goblin Thief, 41182 – The Capture of Sophie Jones, 41183 – The Goblin King’s Evil Dragon, 41184 – Aira’s Airship & the Amulet Chase and 41185 – Magic Rescue from the Goblin Village) will be available in March. The other three (41186 – Azari & the Goblin Forest Escape, 41187 – Rosalyn’s Healing Hideout and 41188 – Breakout from the Goblin King’s Fortress) will be released in August. They will retail from $9.99 -$69.99. These sets will tell the story of Emily Jones, as she sets off to rescue her sister, Sophie, who has been kidnapped by the Goblin King. This story will be told in a series on Netflix. LEGO’s newest original IP, Nexo Knights, a sci-fi take on their Castle line, is supported by an animated series on Cartoon Network. This Fall, the line will continue with six new sets (70361 – Macy’s Bot Drop Dragon, 70353 – The Heligoyle, 70354 – Axl’s Rumble Maker, 70355 – Aaron’s Rock Climber, 70356 – The Stone Colossus of Ultimate Destruction and 70357 – Knighton Castle) which will release in August. 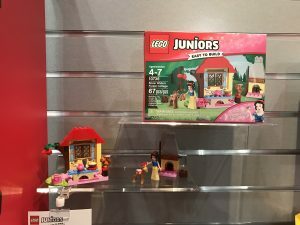 The sets will retail between $14.99 – $129.99. I love when LEGO does big show piece sets, and Knighton Castle definitely qualifies as one of those. It has a ton of different playfeatures and comes with a bunch of minifigures. LEGO Marvel Superheroes rolls on with three comic based sets (76076 – Captain America Jet Pursuit, 76077 – Iron Man: Detroit Steel Strikes, and 76078 – Hulk vs. Red Hulk) which release in March. Following that will be sets that tie into the upcoming Summer Blockbuster film Guardians of the Galaxy Vol. 2. Three sets based on the film (76079 Ravager Attack, 76080 – Ayesha’s Revenge and 76081 – The Milano vs. the Abilisk) will be released in March. 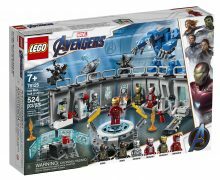 Also, shown were two sets (76082 -ATM Heist Battle and 76083 – Beware the Vulture) which tie into the upcoming Spider-Man Homecoming movie due for release later this year. Sets retail between $19.99 -$59.99. The comic inspired sets include minifigures of several new characters, most notably the new Ms. Marvel, with her extendable arms. The Guardians of the Galaxy sets are all great, and you even get a little baby Groot microfigure. One of the interesting things about the Spider-Man Homecoming sets is that the Beware the Vulture set has a minifigure greyed out on the packaging. Usually LEGO only does this if it a huge spoiler, so we’ll have to wait and see who that turns out to be. The Vulture figure is an awesome sight, with his enormous winged jetpack. I love the scale difference between him and Spider-man. NOTE: LEGO is also expected to release sets based on Thor: Ragnarok, but none were shown at Toy Fair. Unfortunately, there were no new comic based LEGO DC Superheroes sets on display. 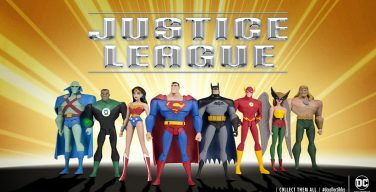 It looks like outside of the LEGO Batman Movie product, the only LEGO DC sets coming out this year will be based on the upcoming Wonder Woman and Justice League movies. NOTE: LEGO had the display boxes for the Justice League sets on display, but they were covered and we were not allowed to photograph them. The DC Super Hero Girls line, one of the most popular licenses of last year, continues in August. 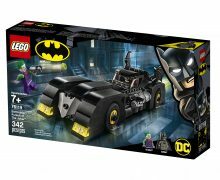 Four new sets (41236 – Harley Quinn Dorm, 41237 – Batgirl Secret Bunker, 41238 Lena Luthor Kryptomite Factory and 41239 – Eclipso Dark Palace) are on the way. The Eclipso Dark Palace set contains one of the most requested items for LEGO DC: WONDER WOMAN’S INVISIBLE JET! It also includes one of the only boy minifigures in the line: The Flash. Next up is LEGO’s flagship girls line, and one of their most popular themes, LEGO Friends. Later this year, the girls from Heartlake City will be featured in nine addition sets in the Fall. Eight of those sets will be divided into two distinct themes. Four sets (41315 – Heartlake Surf Shop, 41316 – Andrea’s Speedboat Transporter, 41317 – Sunshine Catamaran and 41318 – Heartlake Hospital) will comprise the “Seafront” theme. Four other sets (41321 – Snow Resort Off-Roader, 41322 – Snow Resort Ice Rink, 41323 – Snow Resort Chalet and 41324 – Snow Resort Ski Lift) will comprise the “Snow Resort” theme. Finally, LEGO Friends will end their year with 41326 – LEGO Friends Advent Calendar. 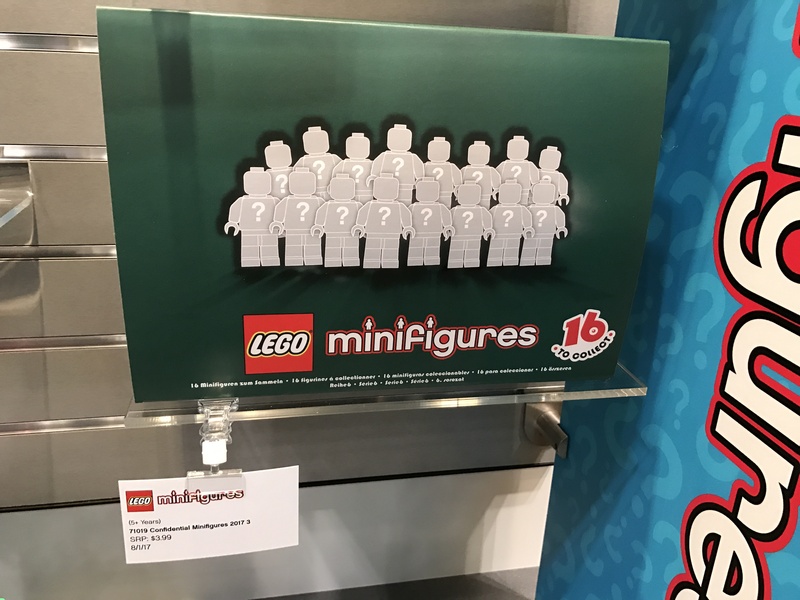 The first eight sets will release in August. The Advent Calendar will release in September. The sets retail for between $19.99 – $89.99. All of the LEGO Friends sets coming in the Fall are fantastic, full of the inventiveness and variety of play that has made this one of LEGO’s best selling themes. Singling out two, however, I would have to shine a spotlight on the Sunshine Catamaran and the Snow Resort Ski Lift. Both are large scale sets, with tons of different play opportunities made possible by multiple play areas. The Snow Resort Ski Lift reminds me of the Amusement Park Roller Coaster set from last year, which, coincidentally, won two Toy of the Year Awards this year. LEGO might have another strong contender for one this year. Finally, we return to Gotham City for the second, and likely final wave of sets based on the smash hit LEGO Batman Movie. To round things out, Five more sets (70913 – Scarecrow Fearful Face-off, 70914 – Bane Toxic Truck Attack, 70915 – Two-Face Double Demolition, 70916 – The Batwing and 70917 – The Ultimate Batmobile) will round out the assortment. These sets will be released in June and will retail for between $14.99 – $129.99. All of these sets have been really cool. 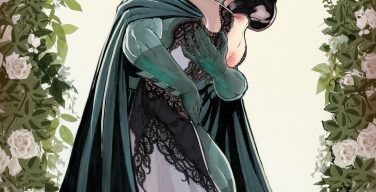 They are chocked full of Batman fan-service moments. These last five sets give you the villain minifigures you’re missing, including Two-Face and Bane, and as a nice bonus in the Ultimate Batmobile set, the Wicked Witch and Polka-Dot Man. You also get an Alfred in costume in the same set. The two to make sure are on your “must-buy” list here are the Batwing, which is just beautiful and the Ultimate Batmobile, which besides being one of the coolest versions of one of the coolest vehicles EVER, also comes with the first ever LEGO Batsignal, which has a light brick inside so it REALLY LIGHTS UP! It’s gonna be a long wait till June. And normally, that would do it for LEGO. This year, however, there was one more surprise. Feast your eyes on 71042 – Silent Mary. 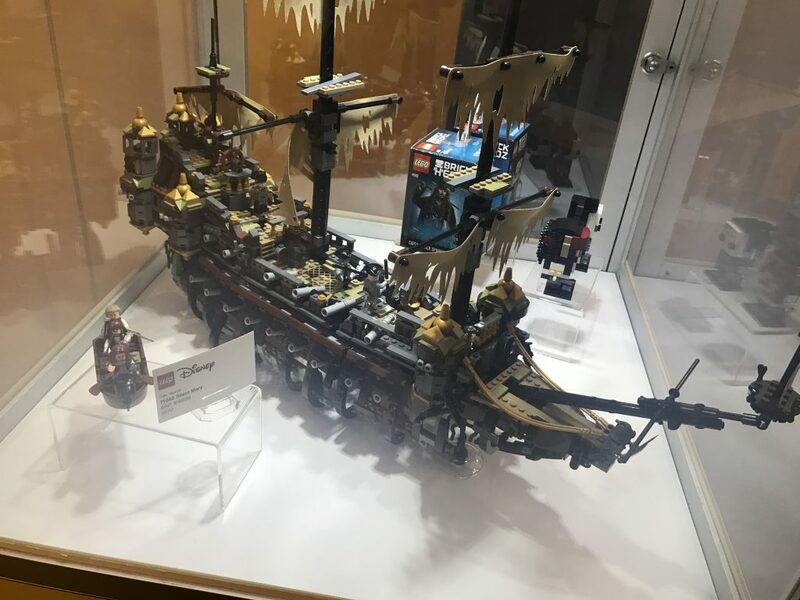 This is the only set revealed so far based on the upcoming film Pirates of the Caribbean: Dead Men Tell No Tales. This set will be released in May and retails for $199.99. It is just breathtaking. Some final notes: I didn’t see any Bionicle, so I think it’s really gone. The Ninjago Movie sets look very cool and hopefully, I can get some images soon. The secrecy around Cars 3 and Justice League is CRAZY. Again, hopefully Ill be able to show you some stuff soon. And that really does do it for LEGO. My Special Thanks to Ashley Edwards from Flashpoint PR.